VOLUME - (The little ramp graphic) Controls the overall output volume of the pedal. 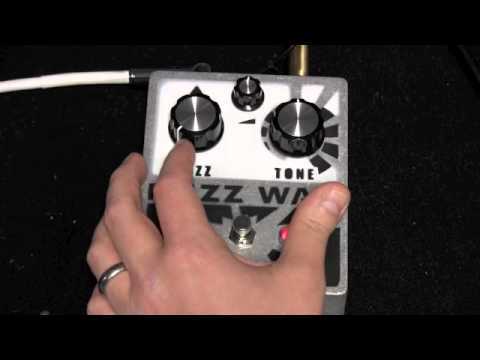 FUZZ - Controls the drive or gain of the fuzz circuit. At it's lowest setting the pedal just acts as a tone shifter. As the fuzz knob is turned up it sweeps from a booster to an overdrive to a thick distortion to a full on blown out war of fuzz. TONE - A specially designed multi-curve shaping filter which changes the timbre of the pedal from super deep bass sludge to screaming highs.